This recipe is a shortcut version to an original classic. It's a shortcut because we're using jarred Vodka Sauce. We're going to spice it up with just a few ingredients for a simple, yet delicious, homemade version that everyone will enjoy. There are several brands of Vodka sauce out there to choose from. Pick a brand that you like and go from there. In this recipe, I'm using the Gia Russa brand. I've also used Mario Batali as well as Bertolli with excellent results. 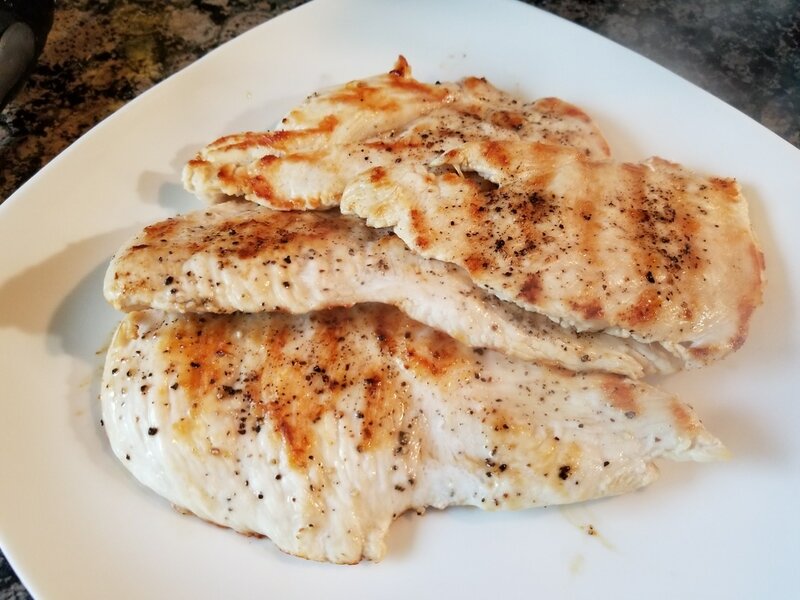 Using grilled chicken is also the main component that makes this dish packed with flavor. 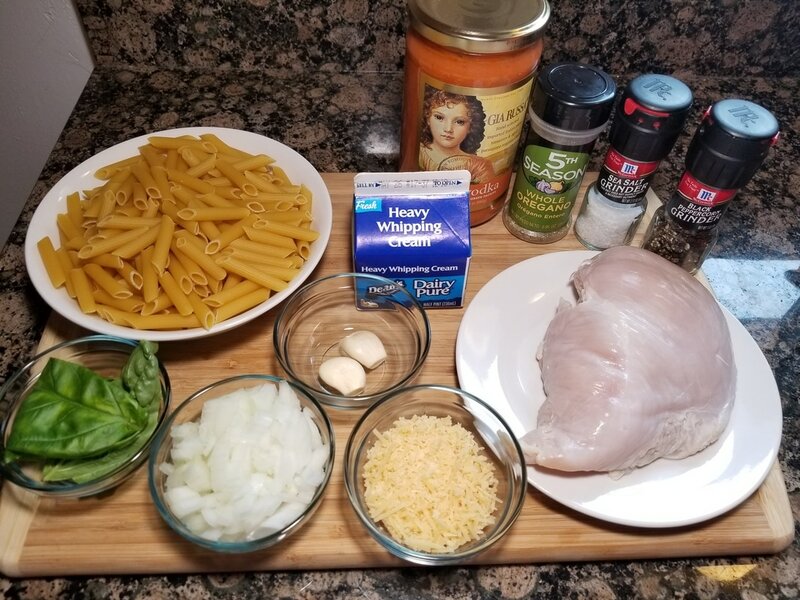 As I'm posting this recipe, I am just now realizing that my final dish picture doesn't show the chicken. 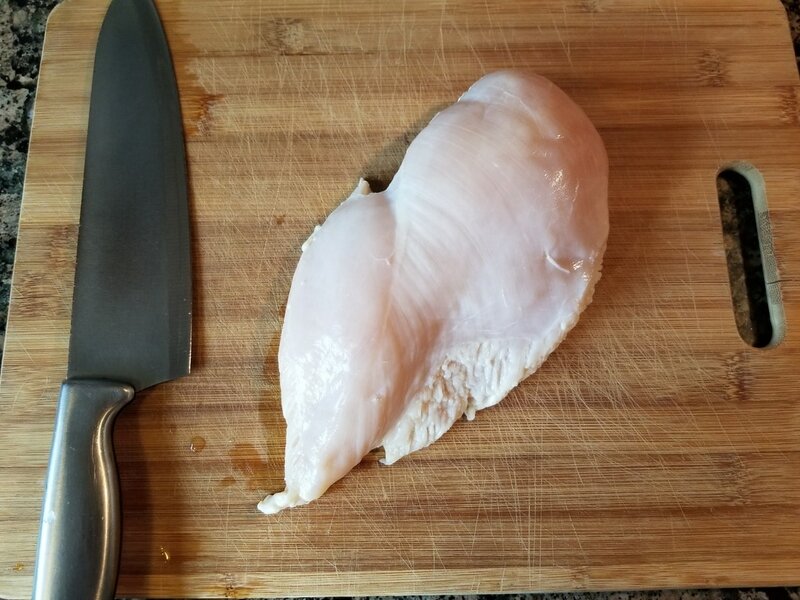 But believe me, there's chicken in there! Give this one a try and let me know what you think. 1. 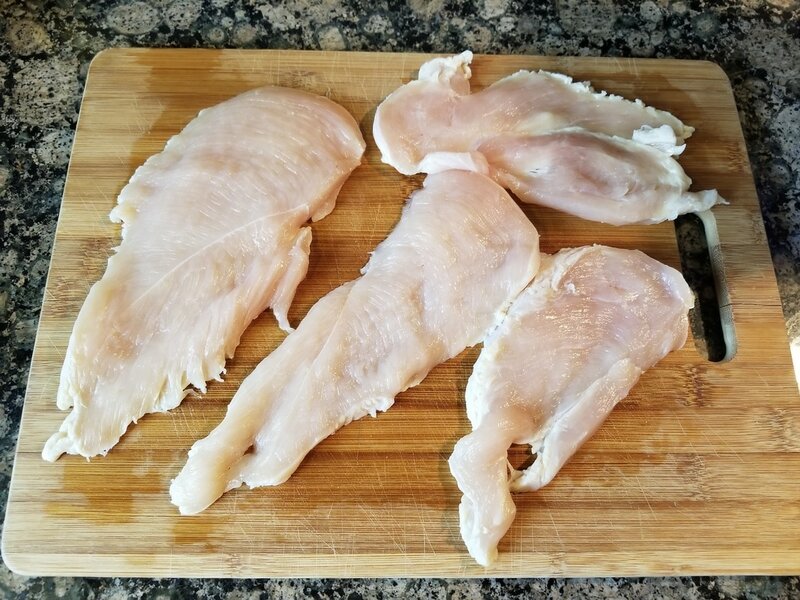 Clean 1 pound worth of chicken breast according to the “Cleaning Chicken” page and pat dry. Depending on the size and thickness of the breast, butterfly it into thinner pieces. 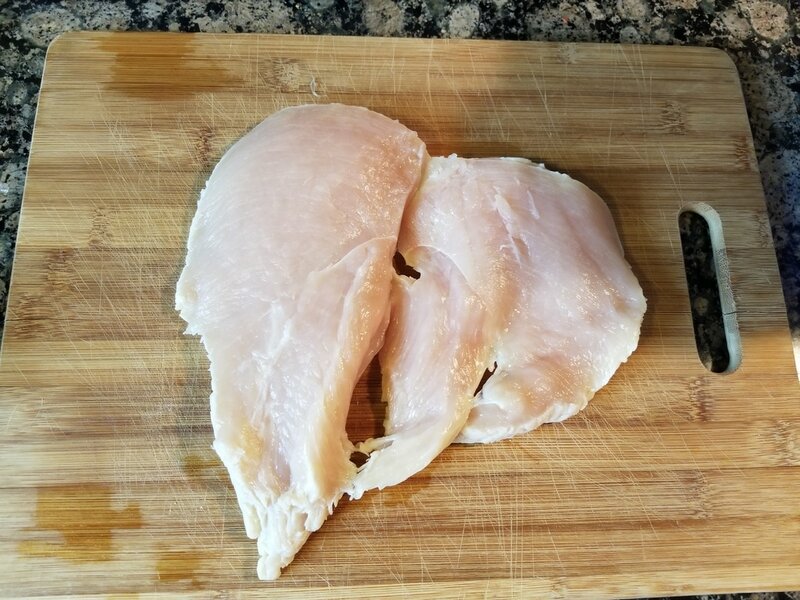 This was a large chicken breast and I was able to slice it into 4 pieces. ​2. 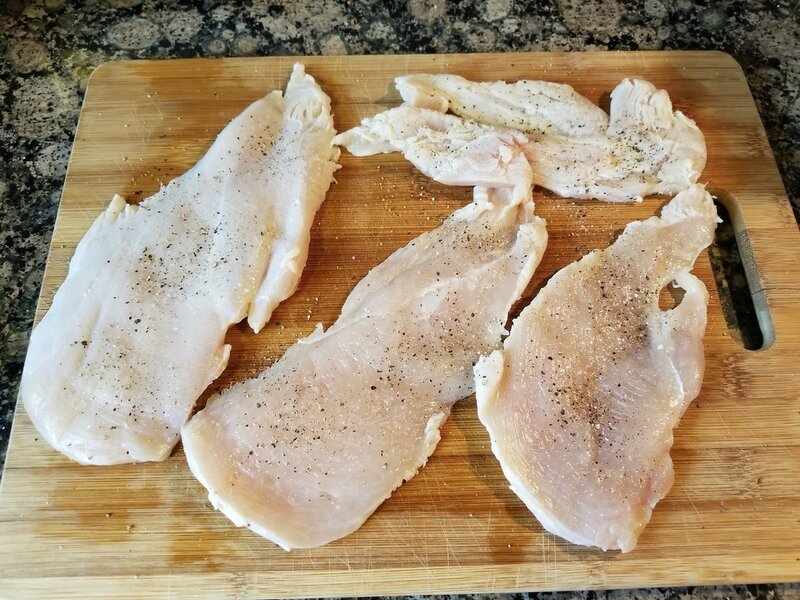 Add fresh ground sea salt and black pepper to both sides of each chicken piece. ​3. 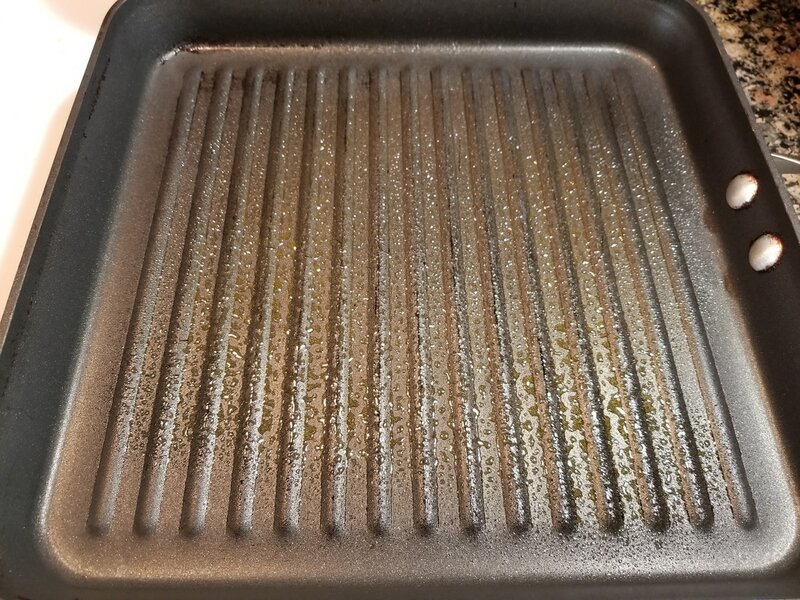 In a grilling pan on high heat, spray a little non-stick cooking spray. 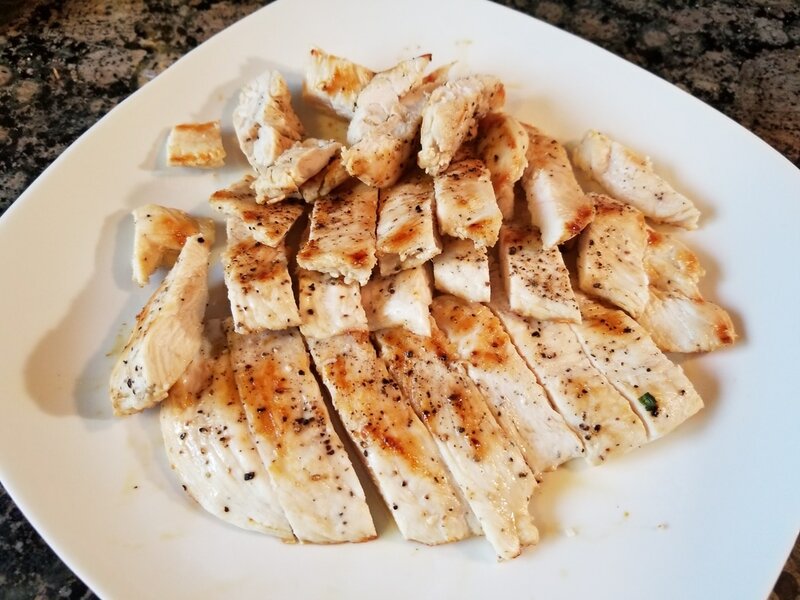 Once it reaches temperature, place the seasoned chicken breasts in the pan. Cooked the first side for 3 – 5 minutes, depending on the thickness. 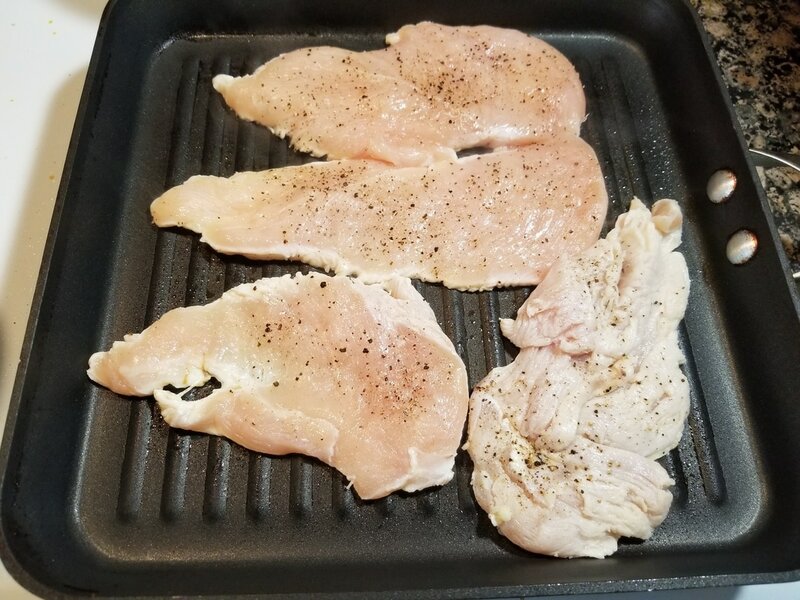 Flip and cook for another 2 – 4 minutes. Avoid overcooking to prevent it from getting dry. 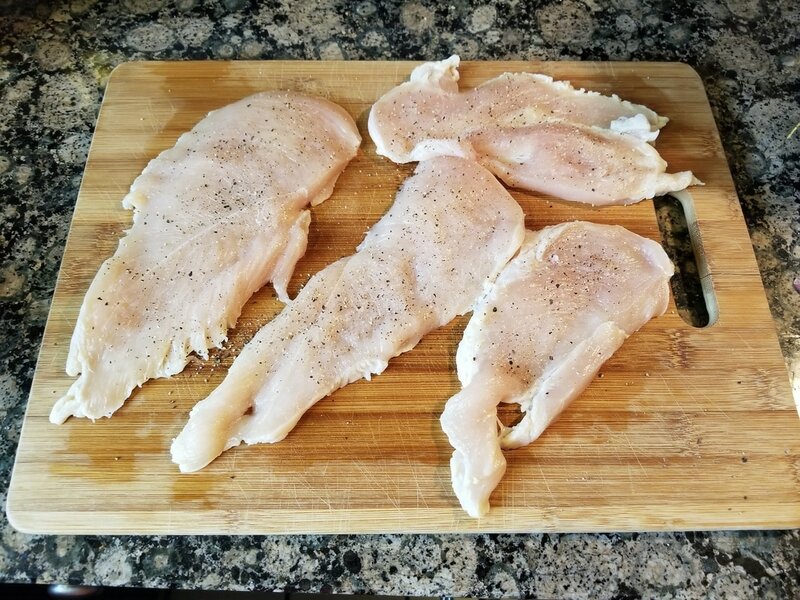 Remove from heat and set chicken breasts aside. 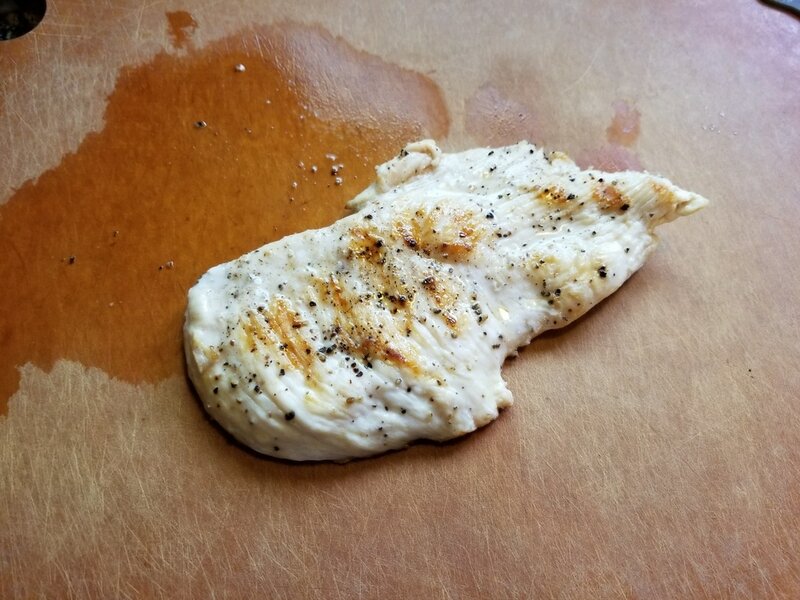 You want the chicken slightly undercooked since it will be cooked further in upcoming steps. 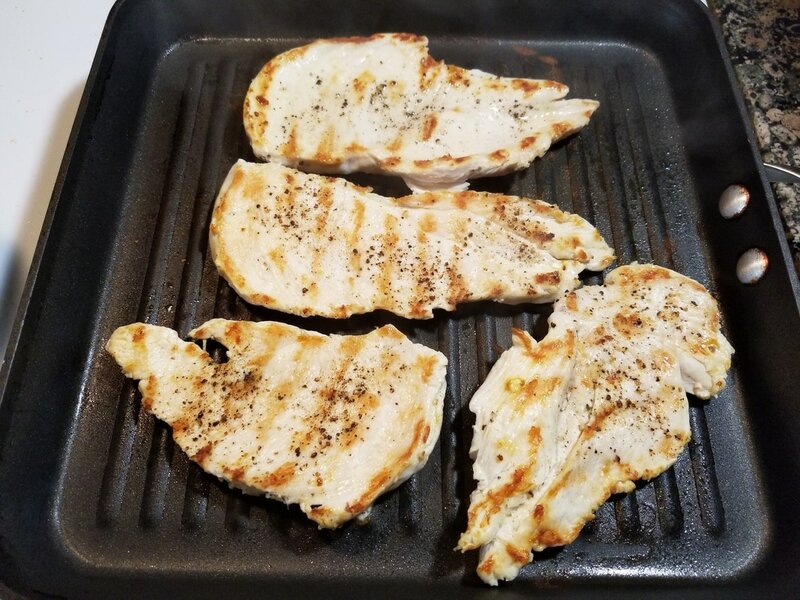 *As an alternative, I highly recommend grilling the chicken on an open flame grill. The flavor will be even greater. ​4. 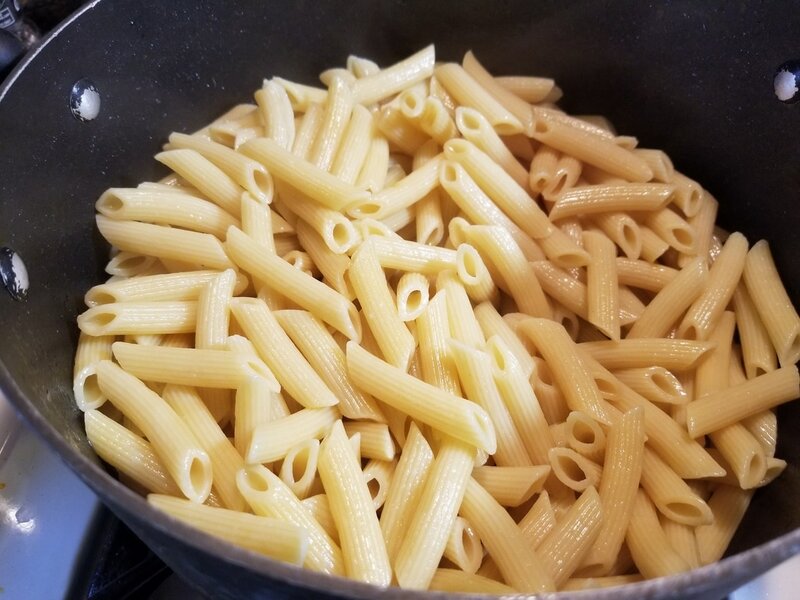 Cook the penne pasta according to package directions. (Don't forget to salt the water!) 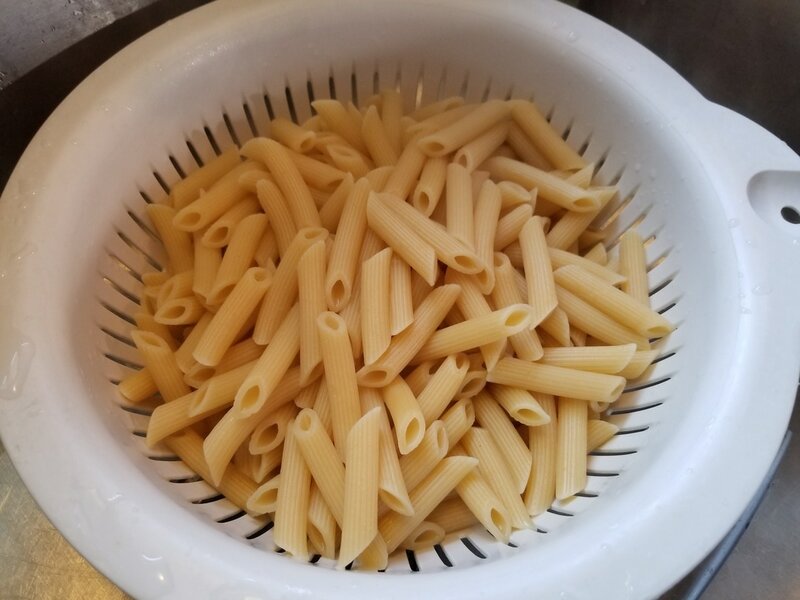 Drain pasta, return to pot, drizzle about 2 tbsps. 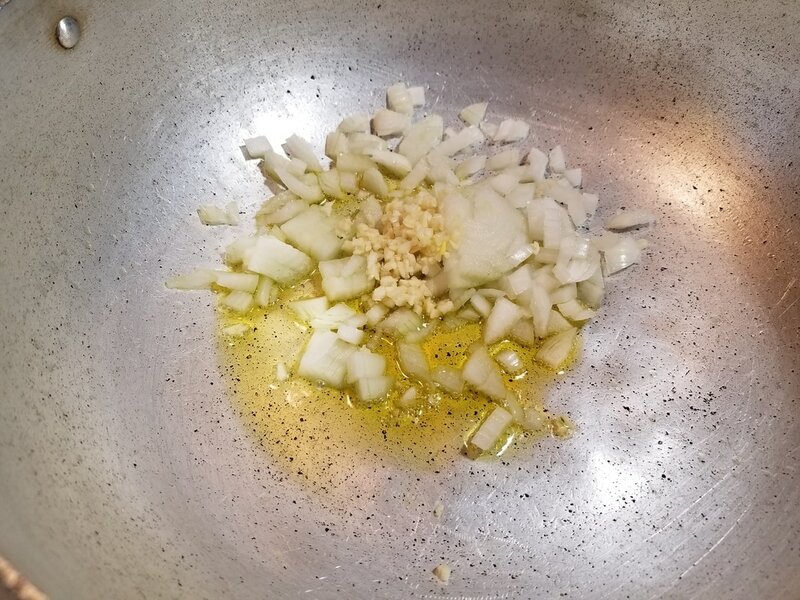 of extra virgin olive oil, mix thoroughly, and set aside. ​5. Finely chop about 2 tsps. 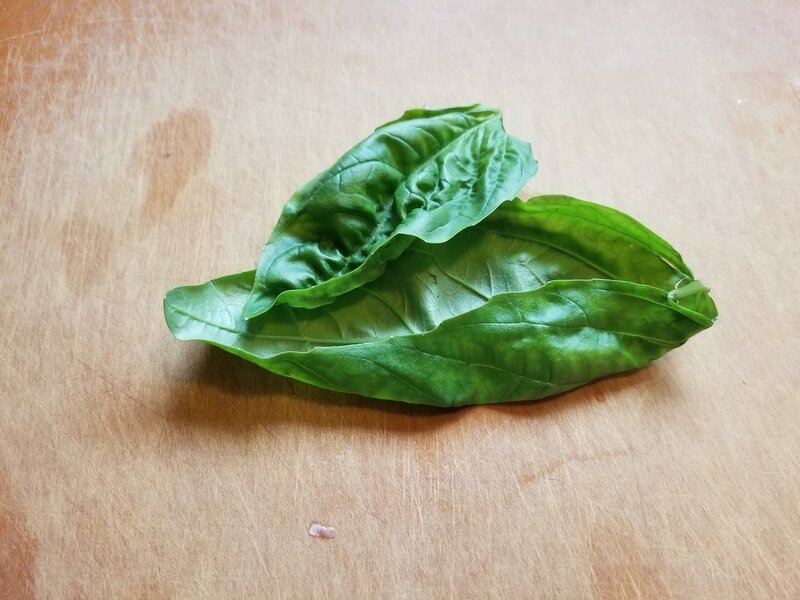 worth of fresh basil. Set aside. ​6. 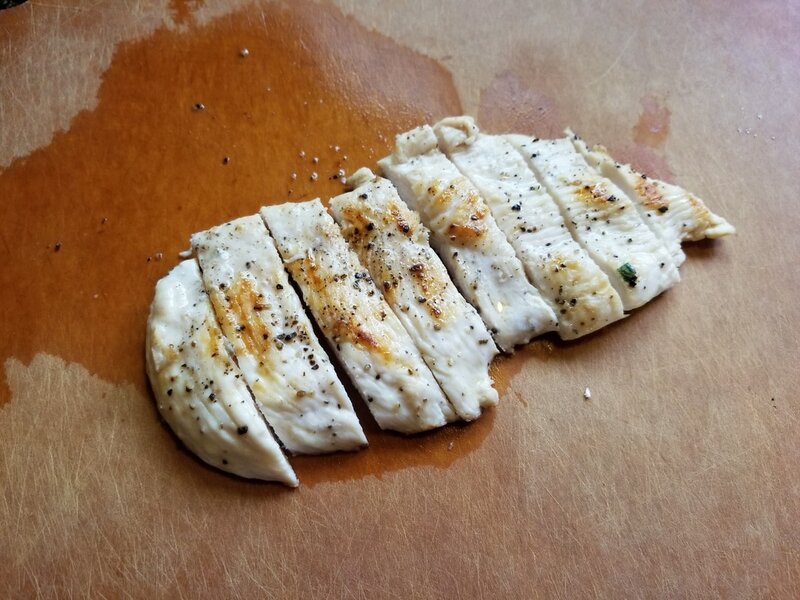 Once grilled chicken has slightly cooled, slice into strips or dice into cubes (your choice) and set aside. ​7. In a large pot, add 2 tbsps. 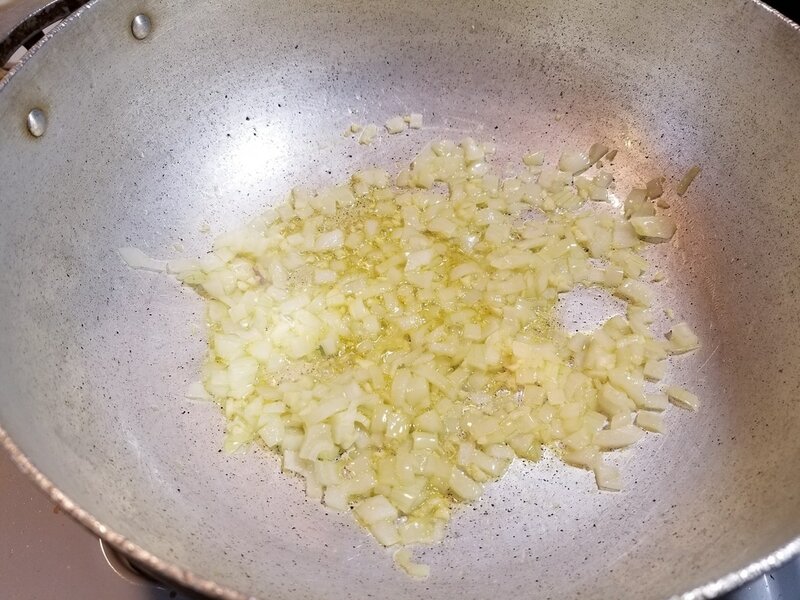 of extra virgin olive oil, 1 small diced onion, and 2 minced garlic cloves. 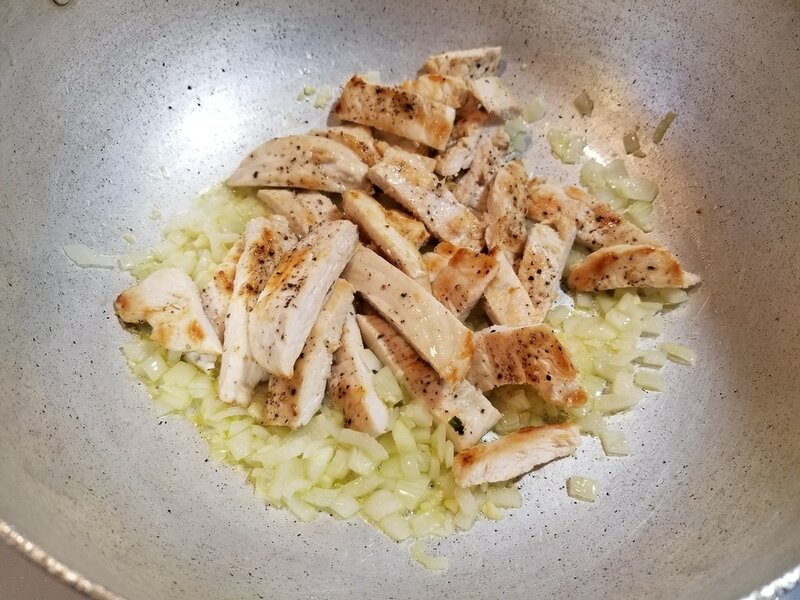 Stir ingredients and sauté on medium high heat for about 2 – 3 minutes. ​8. Add the chicken to the pot and mix to combine. 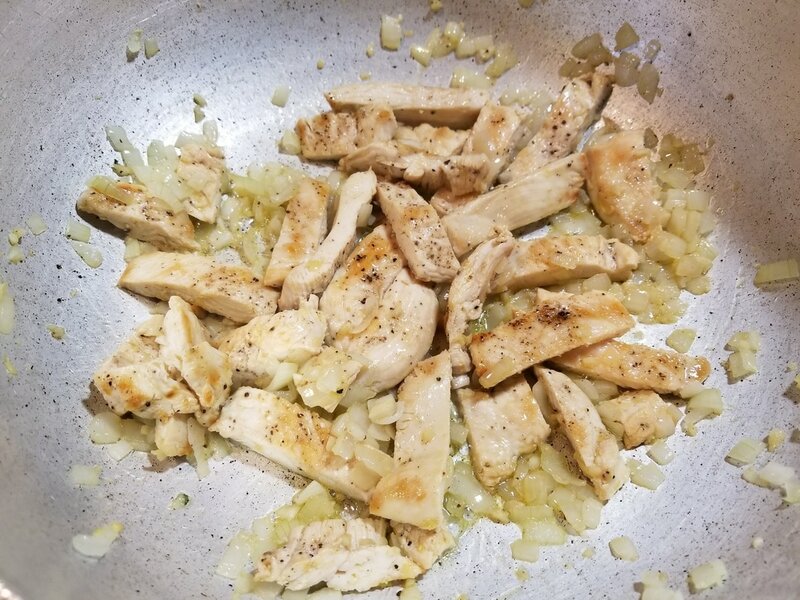 Sauté for an additional 3 – 5 minutes (or until chicken has completely cooked through). 9. 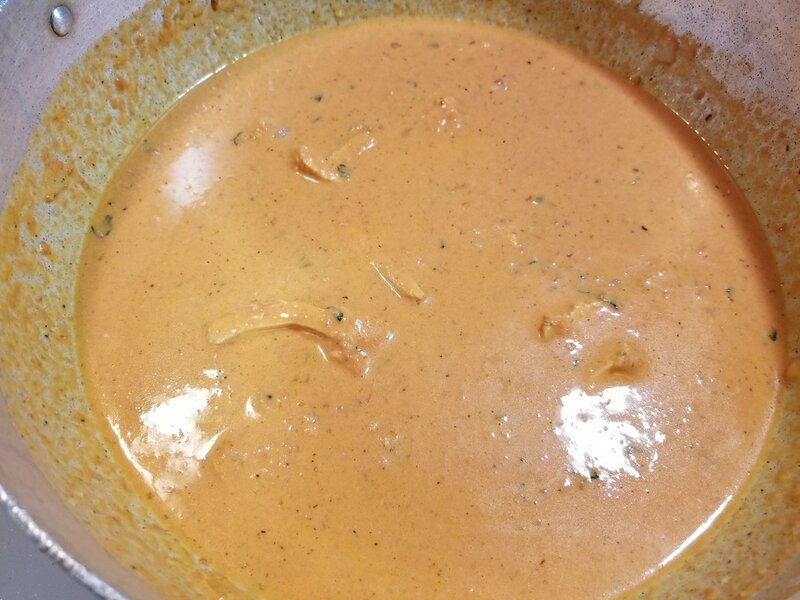 To the pot, add 1 complete jar of Vodka Sauce (choice of your preferred brand), 1 pint of heavy whipping cream, 3 tbps. Shredded Parmesan cheese, 1 tsp. 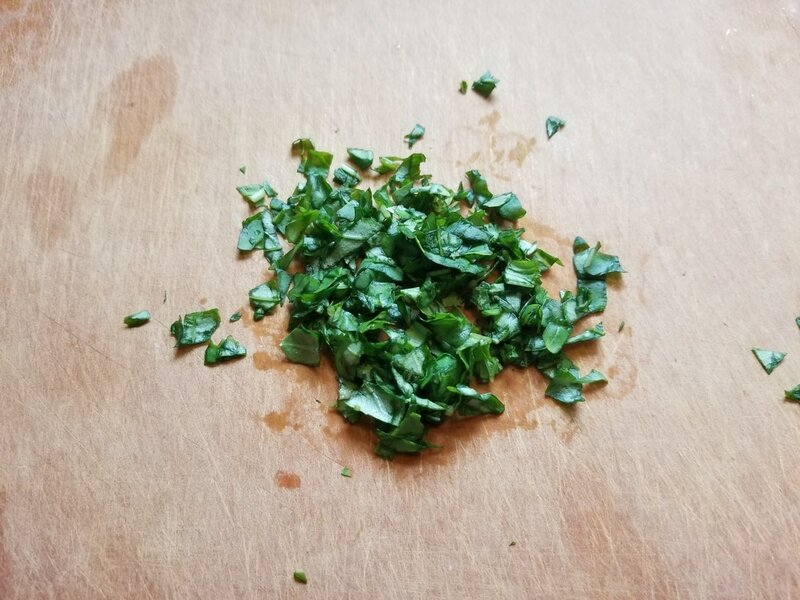 oregano, and the chopped basil. *Optional – I usually like to get every bit of sauce from my pasta sauce jars. I do this by adding ¼ - ½ cup of water to the emptied jar. I close the lid, shake it up and pour the liquid into the pot. Stir all the ingredients well to fully incorporate. Sample the sauce and add additional salt to taste (use table salt until it reaches your desired flavor). 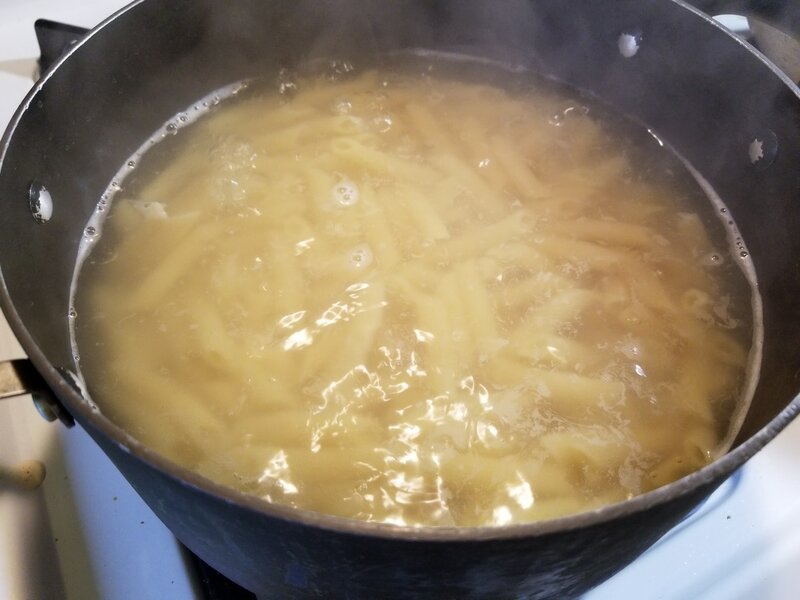 When it comes up to a light boil, reduce the heat to medium or medium low and allow the sauce to simmer for up to 5 minutes, stirring occasionally. 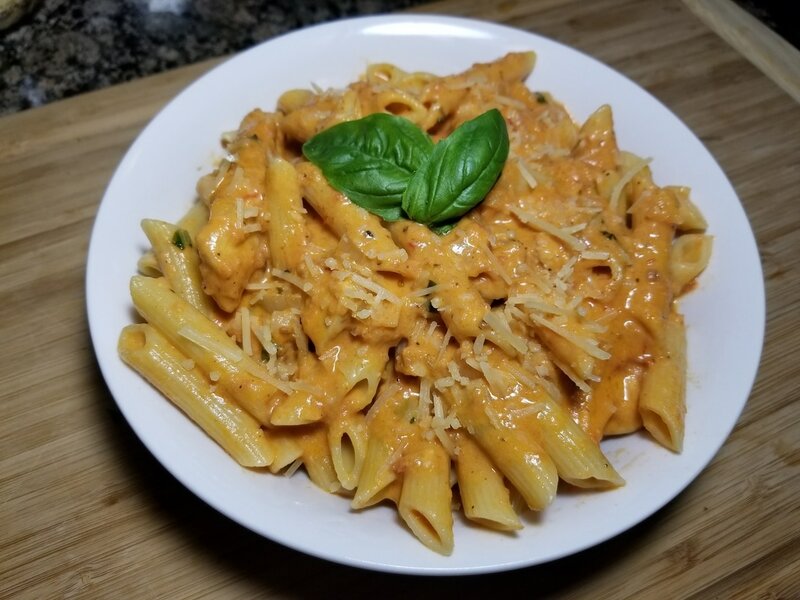 If the entire thing is going to be served at once for a large family, dump all of the cooked penne into the pot of vodka sauce, mix thoroughly, and serve. If only a few portions will be served, only combine the amount of pasta with sauce that will be served. This ensures that if you have leftovers, the pasta won’t absorb the sauce leaving you with a dry pasta dish. 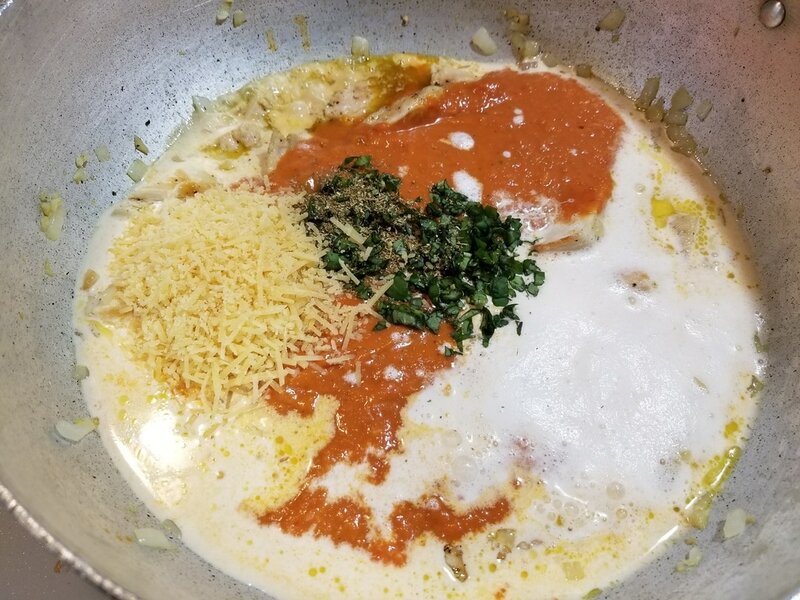 This is a saucy dish meant to be served immediately once mixed with pasta. What do you think of this recipe? 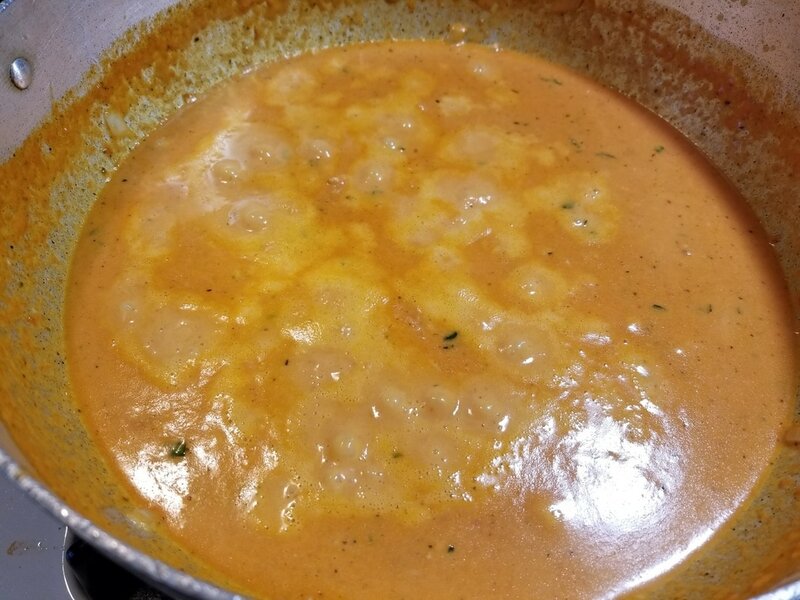 Which Vodka Sauce brand do you prefer?